The eTeacher PRO Learning Management System (LMS) gives you access to all learner information including course progress, online theory worksheet results, assessment bookings & results, certifications, exemptions and much more. Throw away those Excel spreadsheets and have all the information you need in one place. There are so many different facets to running training and education. 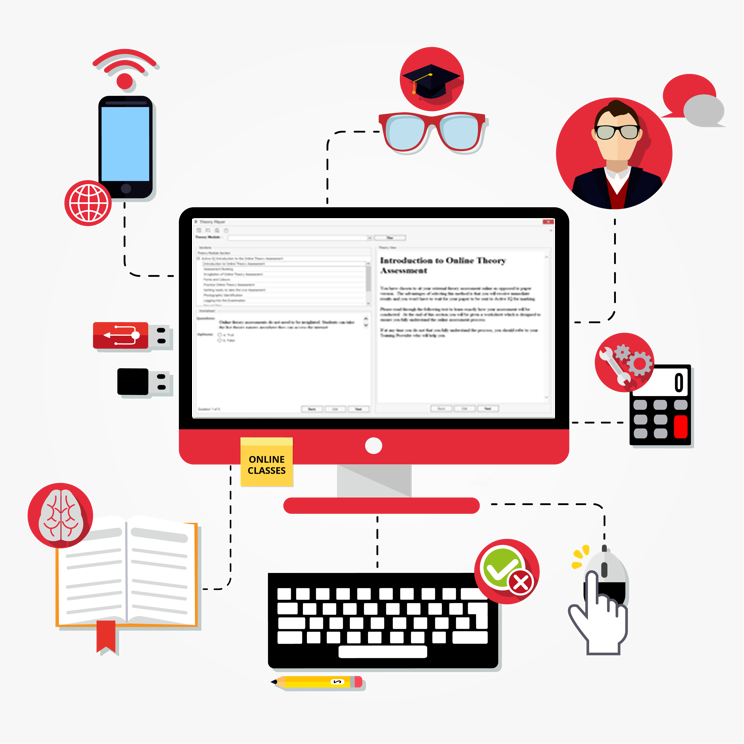 Learning Management Systems tend to focus on the delivery of the content and give course administrators very little help with other aspects. eTeacher PRO aims to bring all the information you need about your learners into one, simple to use application. From the moment a potential customer enquires about your courses, you can manage the relationship and track every interaction you have with them. From enquiry to enrolment, course completion, certification and beyond. The eTeacher PRO LMS makes your life easier. With our integrated cloud-based digital filing system, never lose any learner documentation again. 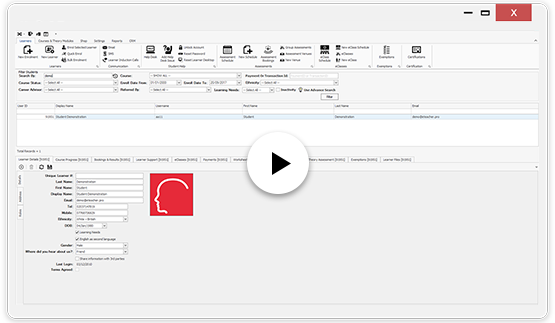 Track support calls, emails, system messages, help desks requests, chats and SMS messages all from one simple user interface. Our system integrates with WorldPay online payment processing as well as Deko Finance allowing you to take a variety of payment methods for your courses. You can track all your learner payments within the etecher.pro Admin Application. If you use an Awarding Organisation, tracking certification requests can be time consuming. Reduce the headaches and allow the eTeacher PRO system to do the work for you. Know exactly where a learner is up to in your course and view their progress through the online theory content and associated worksheets. Manage an eClass (web-conferencing) schedule including class times and bookings. If you sell products, the LMS can track all orders and link them directly to learner accounts. You may also use the system to upsell products during the enrolment process. with all the information recorded, generating reports for Awarding Organisations and Quality Assurers is essential. The eTeacher PRO system comes with many reports as standard and our exceptional support team can generate bespoke reports on request. View assessment and training days learners are booked in for and then assign tutors, assessors and quality assurers. Then enter results as required and the system will automatically course progress.